What is the Glacier Institute? 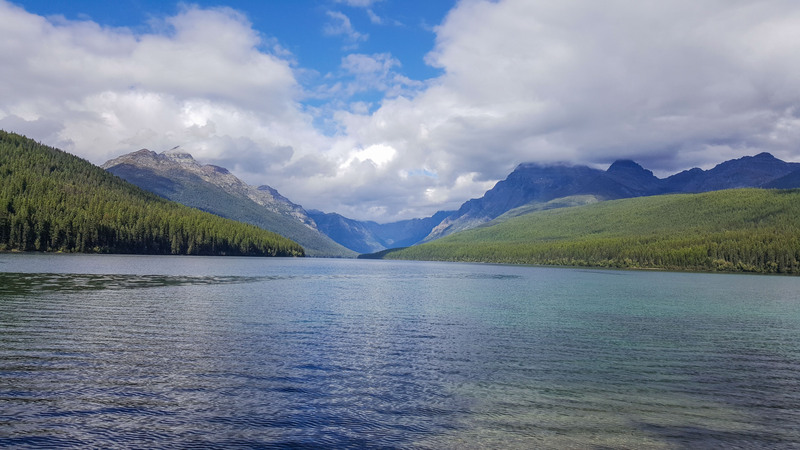 A 501(c)3 nonprofit, The Glacier Institute provides educational programs for visitors to the Glacier National Park area. The organization uses field-based activities to help participants learn more about the area’s ecology and anthropology. Current courses are listed here. Whenever I visit a new National Park, I love to look for programs put on by rangers or other park experts. Before heading to Glacier I started looking for events happening while I’d be in the area. I came across Glacier Institute’s course: People Before the Park: The Kootenai and Blackfeet before Glacier National Park and had to enroll. The course instructor wrote a book by the same name. The course focused on the Kootenai people, specifically how they navigated Glacier’s mountainous terrain during the winter. The first morning was classroom instruction with a nice overview of Kootenai life, customs and stories. After this initial instruction we headed out to the field for some hands on learning. The first experience outside of the classroom was a hunt for certain trees. We drove to a small ridge and split into groups. The groups dispersed and each looked for evidence that Kootenai people had lived in the area. Namely, scar trees – ponderosa pines with long scars from scraping away the slightly sweet, carb-rich cambium layer for consumption after a long winter. The next field activity was a road trip to Bowman Lake in the North Fork area. Of course we also had to make a pit stop at the Polebridge Mercantile for huckleberry bear claws. Bowman Lake was spectacular and I didn’t want to leave! Finally, we drove the Going-to-the-Sun Road while hearing a story about Kootenai travel over the GNP mountains and taking a few opportunities to pull over and sightsee along the way. Luckily, we had some time to do some hiking during the weekend as well. The first hike of the weekend and also Hike 33 of my 2016 52 Hike Challenge was quite the adventure. With our original plan to hike to Hidden Lake foiled by fog, we decided to try the Akokala Creek Trail. I guess when we had trouble finding the overgrown trailhead we should have known better. But, we finally located the trail and headed out. A bit of bushwhacking later, we started searching for a flat meadow opening. After a few hours a group of us stopped and stayed in place to wait for the others who ran ahead to see if they could find the objective. They found the clearing, but it seemed like we hadn’t missed much and decided to turn back to the Institute bus. The weather started out nice for the Akokala Creek Trail. It would change! Before we were back on the trail, the notoriously quickly-changing mountain weather took a turn. In a matter of moments, the sunny sky turned into a portal for a torrential downpour! Luckily we all had rain gear handy, and found shelter a bit off trail in the forest. The canopy protected us from a lot of the rain. As quickly as it began, the rain cleared up and the sunny, beautiful weather returned! My advice – heed warnings about quickly changing mountain weather. And make sure to always pack the ten essentials. My first night staying the the Glacier Institute cabins (uh, SO nice to be in a cot and not a tent!) I took a short sunset hike (Hike 34) with the course leader and another student. We did some bushwhacking and watching the sun set over the North Fork of the Flathead River, with a special appearance by a river otter! The second day of the course included one of my all-time favorite trails: Trail of the Cedars. The one mile, wheelchair accessible path takes visitors through rare old growth inland rainforest, with views of 500 year old cedars and ancient hemlocks along with creeks of vibrant turquoise glacial melt. This was also my Hike 35 of my 52 Hike Challenge! A fallen tree or a work of art? The shady canopy allows for ferns and mosses (my favorite!) low to the ground. The bright greens against the brown tones of the tree trunks and dirt created a stunning backdrop for an easy walk in the forest. There are even some small bunches of Indian Pipe along the way, a fascinating parasitic plant that contains no chlorophyll so it appears bright white. This trail is incredibly popular on its own, but it also serves as the starting point for the also popular trail up to Avalanche Lake, so go early for parking. Overall, taking this course with the Glacier Institute was a fantastic experience. The staff was friendly and knowledgeable, the amenities (cabins, bathrooms, kitchen, etc.) were fantastic and the course content was engaging. I would recommend taking any course with them, and I hope to join them again for a new learning experience again soon! Maybe donate, they’re a cool group.